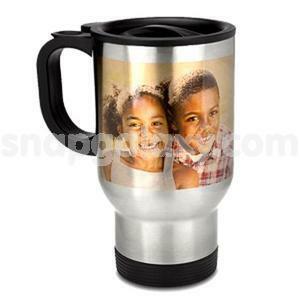 Personalize this travel mug with a photo you like. This steel mug will keep hot beverages hot and cold beverages cold. Spill-proof plastic top.